Need help with your investment portfolio? What Is The Best ETF And Mutual Fund? PortfolioEinstein » Investing basics » Who Are The 3 Good Guys In Investing? 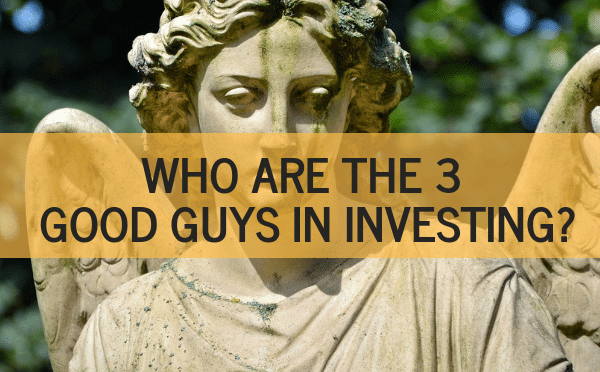 Who Are The 3 Good Guys In Investing? We know who the best investors are. Who the most famous are. But who are the good guys in investing? Who are the ones that have helped millions of people achieve their hopes and dreams through investing? In this article, we highlight three people who have gone above and beyond in helping everyone invest better. 1 Who Are The 3 Good Guys In Investing? The world of investing is littered with stories of famous investors, bankrupt investors, unlikely investors, and unique investors. For most of us, those stories should remain stories. 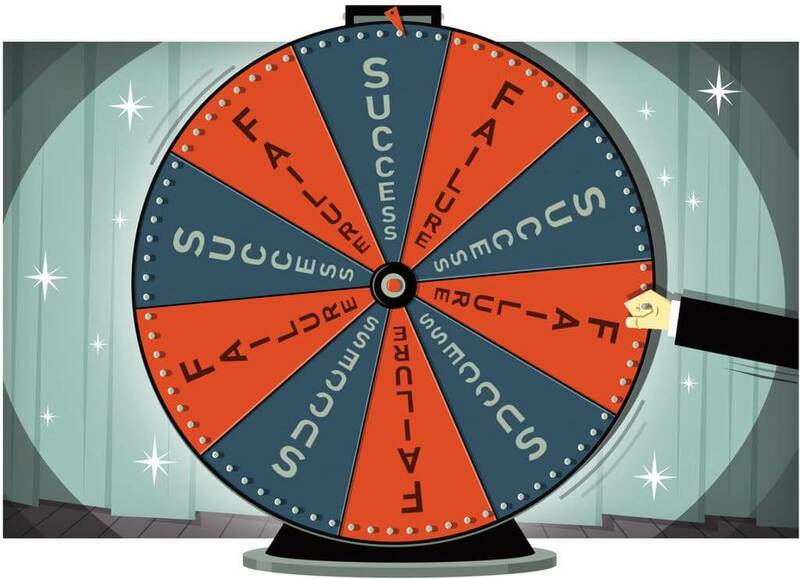 We cannot replicate the success of these famous investors. The good guys in investing are those individuals that have gone above and beyond in helping everyone invest better. They have helped everyone understand investing and made it easy to implement an investing strategy. To be sure, many that have done just that and even proclaim they are doing just that! But be wary. For the truly good guys are far between. If you should only listen to a few people about investing, listen to these three people. These investors have all achieved phenomenal returns above the market average. But they can’t help you. First, because they are really not out to help you, but help themselves make money. That’s their primary goal. Second, their methods are so unique and different that they cannot easily be replicated. To be a great investor you need to do something very different than everyone else is doing. If they didn’t they would not achieve a markedly different result. These investors are present in the media. Either by their own accord or because the media loves them. Their returns are mediocre at best and they are best when they are loud and self-promoting. They can’t help you either. First, because their incentives are completely at odds with yours. They are more often than not promoting themselves or their own brand. Second, they are simply not good investors for you. They don’t have a process nor a strategy that they can pass on. If you look at Morningstar.com you find plenty of funds that have beaten the market over the past 5 years and even 10 years. This is often explained due to the manager’s herculean effort in achieving superior returns year after year. One of the more famous examples of a star manager is Peter Lynch who managed the Fidelity Magellan Fund (1977-1990) and achieved stellar returns. The returns were achieved early in the fund’s existence however and as the fund grew over time the performance lagged. Star managers usually demand a much higher compensation. This will and does invariably remove out any edge the manager can exert upon the fund. They take a massive amount of risk early in order to produce outsized returns. In effect, they gamble with their client’s money. If their bets pay off they are hailed and paid as star managers. If they fail the fund closes and they start a new one. They are extremely lucky for a long time. This is the coin flipping effect in action described some many times elsewhere: Take 1000 managers and have them flip a coin. after 9 years you might just have 1 manager left that is hailed as a star manager because he has flipped heads for 9 years in a row. Truly he is worthy of star manager status. There is some evidence that managers with an MBA perform slightly better than those without an MBA. More often than not, however, education gets in the way because of overconfidence bias. Doctors are some of the worst investors! In 1999 Long-Term Capital Management (LTCM), a hedge fund blew up due to poor investing strategies. The fund’s board of directors included Myron S. Scholes and Robert C. Merton, who shared the 1997 Nobel Memorial Prize in Economic Sciences. LTCM was bailed out in the year 2000 with a $3.6 billion injection overseen by the federal reserve. Success in investing doesn’t correlate with I.Q. once you’re above the level of 25. Once you have ordinary intelligence, what you need is the temperament to control the urges that get other people into trouble in investing. They have made unusual sacrifices in order to help you. Either monetary or time wise. They have made significant contributions to the shrine of investing wisdom. They have plenty of evidence to back up their investing strategies. They eat their own cooking. Their process has proven to work consistently over time. Legend and supreme hero. No one even comes close to John Bogle when it comes to good guys in investing. John Bogle is the founder of Vanguard and launched the first commercial index fund in 1976. The structure of the company of Vanguard is also unique as the shareholders themselves own Vanguard. It’s the first and only (still!) true mutual mutual fund. Let’s just go through that again because that is immensely mind-bending and important. The company is owned by its funds. The company’s different funds are then owned by the shareholders. Thus, the shareholders are the true owners of Vanguard. The company has no outside investors other than its shareholders. Fidelity is private and owned by the Johnson family. Charles Schwab Company is a publicly traded company. iShares is owned by BlackRock which is a publicly traded company. PIMCO is owned by Allianz which is a publicly traded company. Franklin Templeton Investments is a publicly traded company. Dimensional Fund Advisors is a privately owned company. Nuveen is owned by TIAA which is a non-profit organization. JP. Morgan Chase & Co is a publicly traded company. T. Rowe Price is a publicly traded company. Capital Research and Management Company is privately owned. These companies have one mission above all else: To serve their owners. So what so special about what John Bogle did? It is as simple as that. Vanguard is structured so that the owners are the investors. This is most clear in that Vanguard continuously lowers its prices on its products – because that’s what the owners want! As John Bogle says, the cost is extremely important in investing. You don’t get what you pay for – you get what you don’t pay for. A study by Morningstar.com established that the single most effective way to determine a fund’s future performance is to look at its cost. The lower the annual cost, the better the performance. Other fund companies like Fidelity, DFA only lower their prices when absolutely forced to and do so kicking and screaming. That’s a far-cry from Vanguard’s mission: to stand up for investors everywhere. Because of Vanguard, because of John Bogle, millions of people enjoy lower cost funds and will have far more money when they retire than if they had invested through other fund families. How much more? Let’s do the hypothetical numbers. Vanguard has $5.1 trillion in global assets under management, as of January 31, 2018. Vanguard funds average expense ratio is 0.19% compared to the industry average of 1.08%. That’s $45,3 BILLION dollars that Vanguard in 2018 ALONE has saved investors! John Bogle’s own net worth is estimated at $80 million dollars. Are you ready to give John Bogle a medal? John Bogle has written several books – all of them extremely recommended. All of them filled to the brim with investing wisdom, with evidence of how you should invest, with warnings of the many “helpers” in the financial industry. John Bogle takes the fiduciary responsibility very seriously and has no respect for other fund companies and investors who do not take an interest in severing their shareholders. The economic impact of John Bogle and Vanguard is extremely underappreciated. I don’t think anyone in history has set up a system that has generated so much wealth to average people as Vanguard. Well maybe except for Adam Smith. You can find John Bogle’s portfolio here and the returns and risk here. A former doctor Willam Bernstein has written several books and guides on investing on investing. His book The Four Pillars of Investing: Lessons for Building a Winning Portfolio and his newest Rational Expectations: Asset Allocation for Investing Adults are a must-read for any investor of any age. He is the originator of the No-brainer portfolio, The Cowards Portfolio, and others. William Bernstein process for investing is to diversify into many asset classes. You can find William Bernstein’s portfolios here and their returns and risk here. Richard Ferri is a former Navy fighter pilot and founder of portfoliosolutions.com. In addition to that, he promotes diversification in investing and simplifying your investment. He was/is active on the Bogleheads forum and is very generous with his time there commenting on posts and answering questions. You can find Rick Ferri’s portfolios here and their returns and risk here. An in-depth article on his portfolios is here. These are the runners-up. They have all done plenty to serve the investing community and all have a good process for investing. David F. Swensen. author of David Swensen – Unconventional Success: A Fundamental Approach to Personal Investment. Paul Merriman author of Get Smart or Get Screwed: How To Select The Best and Get The Most From Your Financial Advisor. Charles Ellis, author of Winning the Loser’s Game, Seventh Edition: Timeless Strategies for Successful Investing. Taylor Larimore, author of The Bogleheads’ Guide to the Three-Fund Portfolio: How a Simple Portfolio of Three Total Market Index Funds Outperforms Most Investors with Less Risk. JL Collins, author of The Simple Path to Wealth: Your roadmap to financial independence and a rich, free life. Larry Swedroe, author of many books, among the best are Wise Investing Made Simple: Larry Swedroe’s Tales to Enrich Your Future. Navigating the world of investing is tough. Whom to believe? What to invest in? If you start with the good guys in investing you’re off to a very good beginning – and end! You simply cannot go wrong if you read any of their books or listen to them talk. They are honorable, look out for the individual investor and have a process for getting you up and running. Hey, I want to bring you more articles like this, I want to show you more good guys in investing but you need to sign up for my newsletter so I can reach you. Let us help YOU you get more money from your portfolio! No-nonsense money producing articles each week! Advertiser Disclosure: This site may be compensated in exchange for featured placement of certain sponsored products and services, or your clicking on links posted on this website. Disclaimer: There are many factors that go into choosing your right portfolio. Therefore, the information here presented are not specific recommendations but instead for information purposes only.